Our personal weekly selection about journalism and innovation. Stay up to date by subscribing to our Newsletter or by following our Telegram channel, and join the conversation on Facebook and Twitter. Parkland survivors turned into activists and inspired a wave of new gun safety laws. Together, they called for changes that would prevent a similar tragedy from happening to anyone else. They confronted their lawmakers. They rallied others to their cause. And then they took to the streets of Washington, DC, to put on the March For Our Lives, make impassioned pleas for reform and declare, “Never Again.” Gun safety advocates saytheir success is perhaps best illustrated by legislation passed in different states across the country last year: 67 new gun laws were enacted by both Republican and Democratic legislators in 26 states and Washington, DC, according to a year-end report by the Giffords Law Center to Prevent Gun Violence. “I think we moved the needle. 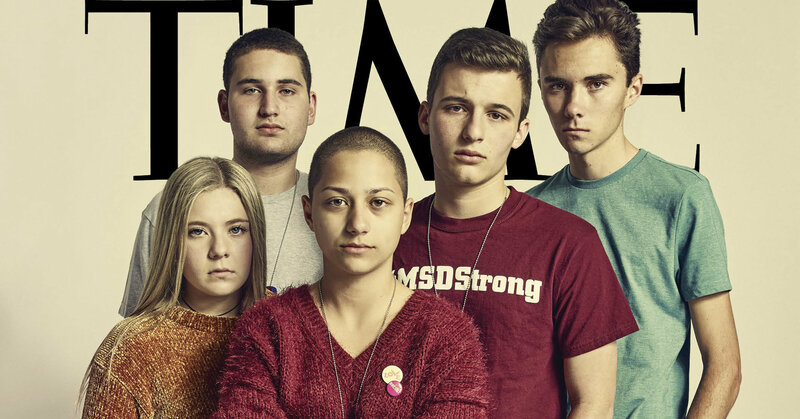 Not enough, but we did,” Jaclyn Corin, one of the founding members of March For Our Lives and a senior at Marjory Stoneman Douglas, told CNN’s Dianne Gallagher of the initial rush of activism that came out of the Parkland shooting. TIMELINE: Rappler’s cyber libel case. Rappler CEO Maria Ressa was arrested early Wednesday evening, February 13, in relation to a cyber libel charge. The case stemmed from a 7-year-old story that was published before the cybercrime law took effect. Several groups slammed the arrest as an attack against the press amid seeping threats to democratic institutions in the Philippines. What happened to this case? Here’s a rundown of events leading up to Ressa’s arrest. “I’m going to hold my government accountable.” Vivian Schiller’s new interview (conducted last week) with Maria Ressa. She talks about living under constant threat, and the future of Rappler. Six reporting tips for covering Islam in America. Research shows that media coverage of Islam is often unfavorable. According to a recent meta-analysis of 345 studies, Islam tends to be portrayed as a violent religion and Muslims portrayed as extremists. Meanwhile, a 2017 report by the Pew Research Center revealed that fewer than half of Americans said they knew a Muslim personally. In short, journalists play a major role in framing public opinion about the 3.45 million Muslims estimated to be living in the United States as of 2017. That’s why guest author Kalpana Jain reached out to journalist Hannah Allam to create a tip sheet about covering Islam in America. (Allam has reported on the lives of American Muslims for years.) Among Allam’s tips: When seeking the perspectives of Muslims, look beyond the mosques. “When you rely only on the mosque for sources, you are getting views that are typically more conservative and orthodox, and they don’t represent the full spectrum of Islamic practice in the U.S.,” she explains. News media needs to convince readers to open their wallets. Consolidation has not helped. If publishers want to maintain a business, they’re going to have to make up some part of the shortfall from readers. But bringing in reader revenue requires new organizational structures that allow product teams and newsrooms to cooperate. Inside consolidated media businesses, those structures and workflows are difficult to create. A secret Facebook group of Twitter personalities has been coordinating harassment against women. The “LOL League” was a shitposting group for some of French media’s most popular Twitter users, where they would coordinate abuse against women, people of color, and the LGBT community. Did you miss any #ijf18 sessions? No problem! Our video platform provides videos of all 2018 festival sessions. Plus an archive of all sessions from previous festivals back to 2013. Here you can find some recommendations.